Pressure vessels are found everywhere -- from basement boilers to gasoline tankers -- and their usefulness is surpassed only by the hazardous consequences if they are not properly constructed and maintained. 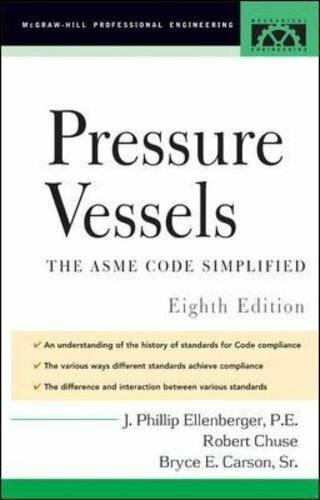 This essential reference guides mechanical engineers and technicians through the maze of the continually updated International Boiler and Pressure Vessel Codes that govern safety, design, fabrication, and inspection. View More In Home Improvement & Design. If you have any questions about this product by Phillip Ellenberger, contact us by completing and submitting the form below. If you are looking for a specif part number, please include it with your message.